DERU – The Art of Cooperation is a cooperative puzzle game from Ink Kit. It mixes eye catching abstract art with mind bending puzzles to a unique gaming experience. In this couch co-op experience two players team up to overcome the boundaries of shadow and light and succeed through teamwork, timing and tactics. Block streams for your partner, juggle your mass to make each other huge for traversing big streams. To succeed you have to communicate and plan together, fuse your brains and bring your co-op gaming skills on the next level. You need to have dexterity, precision and use strategic planning to reach the exit of each level. 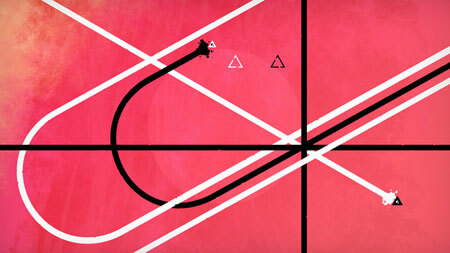 Enjoy beautiful abstract art while solving mind-bending puzzles. The game features multiple worlds packed with many brain twisting riddles. If you get stuck in the game, check out the video walkthrough and gameplay for the game. This entry was posted in PC Games, Walkthrough and tagged DERU - The Art of Cooperation Cheats, DERU - The Art of Cooperation Game, DERU - The Art of Cooperation Gameplay, DERU - The Art of Cooperation Guide, DERU - The Art of Cooperation Hints, DERU - The Art of Cooperation Review, DERU - The Art of Cooperation Solutions, DERU - The Art of Cooperation Strategy, DERU - The Art of Cooperation Tips, DERU - The Art of Cooperation Walkthrough by Marvin. Bookmark the permalink.